Security Monitoring Options for Your Property - Therrell Alarm Protection Service, Inc. 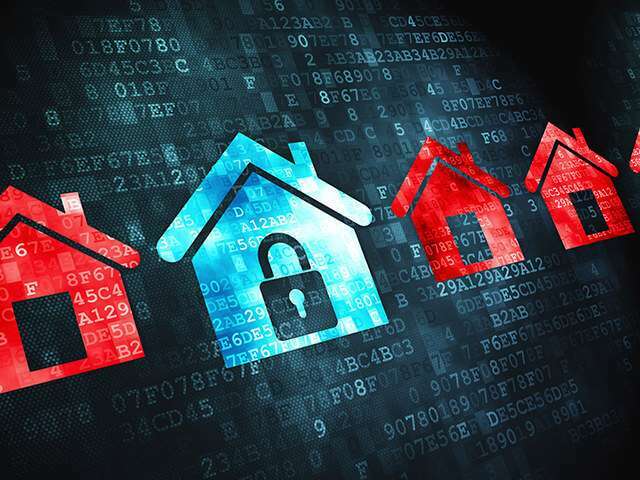 There are several security system monitoring options for property owners – whether it’s residential or commercial. This is a good thing for consumers; having more options is always good. However, finding the right one that’s a good fit for your needs and specifications may prove to be a challenge. Modern security systems are already monitored 24 hours a day, seven days a week. The difference lies in the monitoring options used to keep the property protected. Every security situation is unique and requires just the right solution. Submit your name and email address and one of our security alarm monitoring professionals will contact you as soon as possible. In today’s post, we’ll look at these monitoring options. According to the FBI, 70 percent of burglaries are residential. Thus, it is recommended to install a burglar alarm monitoring system throughout your property. A study made by the Rutgers University School of Criminal Justice concluded that aside from protecting residential homes, burglar alarm monitors also helped lessen burglary incidents in neighborhoods. 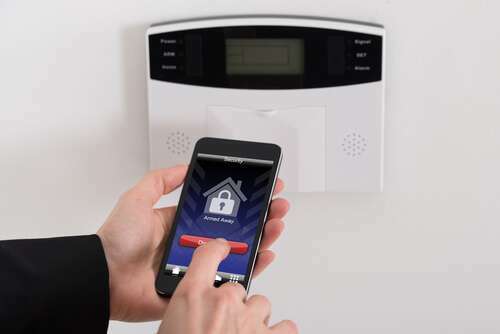 When your burglar alarm goes off, it can instantly notify law enforcement. They can then send an officer to your property as quickly as possible. This will also increase your chances of catching the burglars who triggered the alarm. Also, a burglar alarm monitoring going off can help deter thieves from stealing anything from your property at all; the alarm may scare them off so they may decide to just flee. Once a burglar alarm is triggered, a security technician located in the central monitoring center will immediately notify the local law enforcement. He or she will also get in touch with you to inform you of what is going on in your property. A standard way of staying connected to a monitoring center, landline phones are a tried and tested channel. However, while landline phones are helpful and work most of the time, they are still susceptible to being cut off when there’s a storm or any other severe weather conditions. They are also vulnerable to intruders who may deliberately plan to cut the line off. Thus, a non-landline based security system monitoring has been introduced. As the name implies, this system does not depend on a landline phone to implement monitoring, ensuring your property is safe and protected even when the phone lines go out. This system uses cellphone signals to keep the systems connected. Additionally, wireless monitoring functions over WiFi. This will give property owners the ability to monitor their property through the system using a computer or any WiFi-capable mobile device such as tablets and smartphones. When your carbon monoxide and fire alarms are monitored, you don’t have to fear to get to the phone for help when something grave happens. As we all know, every second is important when it comes to situations like a fire emergency or carbon monoxide poisoning. And since the safety of your family and loved ones is the utmost priority, there shouldn’t be any time wasted when getting help. A security technician monitoring your system will immediately notify your local fire department when your alarm goes off. This will let you focus on getting you and your loved ones to safety while help is on the way. 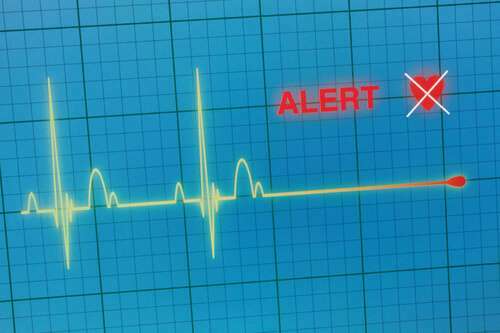 A medical alarm monitoring system can be an extremely important life-saving device – especially to those worried about injuries or falls in the home. Medical alarms are wearable devices; they are usually in the form of a necklace or a bracelet. They are activated with a push of a button connected on a wireless activator. Medical alarms can also be turned on with a keypad. Either way, once it’s activated, emergency services are immediately notified and requested to come to the aid of the person wearing the device. Someone from the security system monitoring headquarters will also attempt to get in touch with you. A broken sump pump or a burst pipe that may cause water damage to your property is never a piece of good news. With a water alarm monitoring system installed within your property, it can watch the water buildup that will give you the opportunity to prevent any further damage from taking place. When the water alarm monitoring system detects even a tiny amount of water within your premises, it will immediately notify you. You can then identify the problem yourself and call a professional when you need to. How Good is Central Station Monitoring?